Participants at this week’s Jamaica Cannabis Conference are doing more than just blowing smoke—they are discussing the upcoming stages of a long-overdue and vital transformation of the Caribbean’s regional economy. While the decriminalization of marijuana has been a topic of discussion for decades, those in attendance at this week’s Jamaica Cannabis Conference are doing more than just blowing smoke—they are discussing the upcoming stages of a long-overdue and vital transformation of the Caribbean’s regional economy. Jamaica has long been associated with potent, naturally grown marijuana, but also the unfortunate social ills that have accompanied its criminalization. While marijuana, or ganja, arrived in the Caribbean with Indian indentured laborers in the mid-1800s, it was not criminalized until 1913, when the Ganja law came into effect at the behest of the church and colonial elites. The ban was largely based on ignorant, racist perceptions of the evil effects that ganja would have on the poor black majority, and thus dealt out fines and other oppressive penalties for consumption or cultivation. During the 1940s and the 1950s, despite the cultivation of ganja for spiritual and medical reasons, it became the routine justification for government raids upon the original, self-sufficient Rastafari community of Pinnacle. Despite Jamaica's independence in 1962, the colonial origins of criminalizing ganja were not eroded, but strengthened. When Jamaica signed the United Nations Convention on Narcotic Drugs in 1964, it became obligated to treat marijuana as a harmful drug, following the prevailing attitude of the United States. Under the banner of the War on Drugs, the Jamaican government diverted millions of dollars from social development to eradicate marijuana plantations through aerial spraying. If Jamaica refused, under the conditions of the U.S. Drug Certification Policy enacted in 1986, Jamaica would risk losing access to U.S. trade, aid, loans, and visas. There are very serious human rights issues associated with the prohibition of marijuana. Across the Caribbean, courts are backlogged with simple possession charges for small quantities of marijuana. 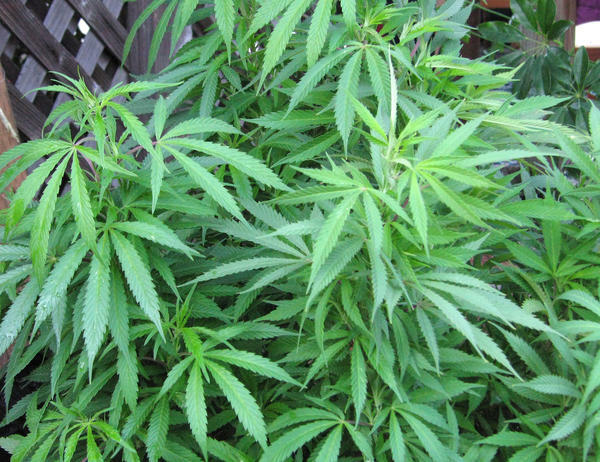 In one case in St. Lucia, fines for small quantities of marijuana reached $200, or up to 30 days in jail. These charges in turn limit employment and travel opportunities, creating intergenerational disadvantages for those who face jail time. As a result of the overloaded prison systems across the region, the economic and social costs of marijuana are tremendous, as much needed economic resources are taken away from social development and funneled towards and endless cycle of law and order policies. Marijuana was...pinned to the Rastafarian movement that started spreading to the rest of the region from Jamaica at the same time. The then leaders erroneously hoped they could easily do away with ‘Rastas and marijuana’ through new laws and armed police forces. By legally twinning Rastafarianism with an illegal substance, growth of a positive and distinctively Caribbean social movement driven by the works of Marcus Garvey, rooted in Pan Caribbean-African nationalism and advocating closer communion with nature half-a-century ago was stifled, suppressed and forced to spend more time resisting and fighting ‘Babylon’ than refining the philosophical, spiritual, cultural and political base of the only indigenous Caribbean movement of its kind in the 20th century. As a further result of these criminalization policies, Jamaica now has to play catch up in the newly emerging legal and medical marijuana market, according to Dr. Albert Lockhart, a leading ophthalmologist and noted speaker at the Cannabis Conference, who stated that “we are 40 years late.” Dr. Lockhart has helped to pioneer medicine derived from marijuana such as Canasol (which treats glaucoma) and Asmasol (which treats asthma), but due to lack of funding their discoveries are not widely known outside of the island. Dr. Lockhart further warned that if Jamaica does not act now it would be at risk of missing the boat, losing out to countries such as the United States, where the states of Colorado and Washington have fueled the push for legalization across the region—and Canada where medical marijuana has become big business. Phillip Paulwell, Jamaican Minister of Science and Technology, has assured interested parties that marijuana will be decriminalized by the end of the year. Paulwell remarked that “I am of the firm opinion that scientific research into marijuana, both in the very many uses of the plant as hemp, and its medical properties, is an idea whose time has come,” adding that a marijuana-based medical industry could earn as much as $5.2 billion. So the Cannabis Conference closed with hope that Jamaica and the wider Caribbean will be able to finally cash in and create a world leading, legal industry which not only acts as a cash crop and provides much needed agricultural jobs, but also as the building blocks for the development of wide ranging medical treatments. Additionally, the new CARICOM Regional Commission on Marijuana Use shows a regional investigative interest. Beyond just decriminalization, the Ganja Future Growers and Producers Association has been advocating for a regulatory model that will benefit small growers instead of large corporations, stating: “For the first three years of a regulated industry, licenses should only be given to plots of one acre or less.” The taxable income from the industry has the power to transform stagnating Caribbean economies and will allow them to have the self determination to rightfully produce a quality product which the world has always demanded in great quantity, but has been criminalized for far too long.